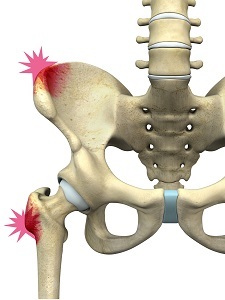 A hip pointer can be treated by rest, using ice packs immediately after the injury to reduce pain and inflammation, bandages to reduce the swelling, and by elevating your hip using a pillow. Your doctor may prescribe NSAIDs to help with the pain and inflammation. You may return to sports slowly following resolution of the injury.